Parents are bringing their male children to see me due to their development of breasts. It is also not uncommon to see them on adult men. The cause is usually an excess of estrogen. Boys and men should have very low estrogen levels and much higher levels of testosterone. Men’s sperm counts are also dropping due to this hormonal issue. We are feminizing men and insulting women with too much estrogen. The primary source of excess estrogen comes from a common product most people eat several times a day—dairy (i.e., milk, cheese, yogurt, ice cream, sour cream, cream cheese, etc.). Another source having estrogenic effects is processed soy (i.e., soy burgers, sausages and soy milk). Exposure to chemicals in the air from pesticides and soft plastic water bottles exude estrogenic mimicking effects. Yes, they are if you change your diet and also make changes with your water bottle. The first step is eliminating dairy and soy from your diet and replacing these with other foods. Replace milk with water, rice, almond or any other nut milk. Use avocado to replace cheese and use rice, almond or coconut milk for an occasional ice cream treat. Of course, all forms of ice cream are high in sugar, so consume sparingly. Water bottles should be hard plastic and Bisphenol A (BPA) free—not soft plastic. Supplements are available which help to pull-out excess estrogen from the body. 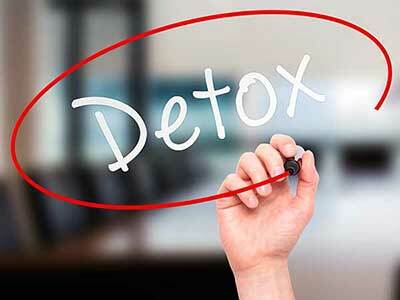 Additionally, excess levels can be reduced by completing a detoxification program designed specifically to address this. Estrogen is stored in our tissues, which need to be facilitated to move them from the body. Boys are self-conscious about this issue, however if they are educated on the cause there is much less resistance to changing their diet.